What I want to emphasize is that it is a must as Nigerians and Africans that we have certain elements that we have to take very seriously which I put as 5Ps. The first is politics which is governance. Unless we get governance right, any other thing we are trying to do will not be right''. Since OBJ ruled during military dispensation and also for 8 years as civilian president, he and IBB are more responsible for the decay than anyone else. OBJ's government achieved more than all before and after him put together. The disunity currently brewing in the country along side the loop sided appointment by the Presidency is enough reason to give one concern about the state of the nation. There are so many killings going on in northern Nigeria, precisely Christians dominated area of Kaduna, Platuea and Benue state and nothing is been done to arrest the perpetrators of this act. Truly, there was a country. Nigeria is heading towards anarchy. I share your sentiments exactly...let me see that fool that will come here and say you are making an ignorant comment. 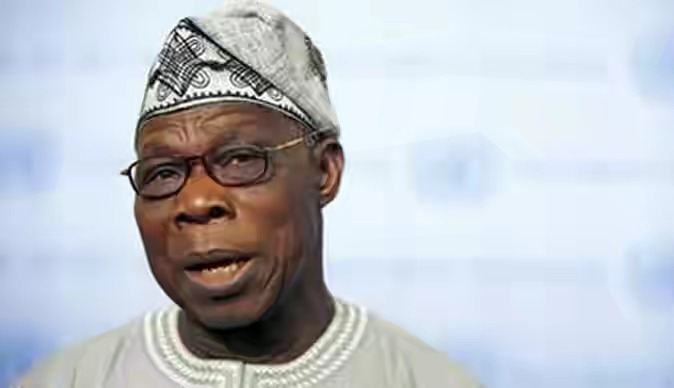 OBJ is the mastermind of Nigeria's heightened disunity: he gave away Bakassi to the Cameroon on a platter of gold during his lead. Does OBJ think God is deaf to the cries of the displaced innocent children and their families? How is it when these caricatures are in office they fail to do the right thing but once out give unsolicited advice to others? the word of a cunny man. Why won't Nigeria be divided when you people are all thieves, robbers and bandits who instead of developing the country decided to enrich yourselves by converting all the wealth of the country into your own thereby throwing the country and its people into abject poverty. Where there is excessive wealth cohabiting with excessive poverty there can never be unity. You obj and your cronies are responsible, its sad people still trust you.